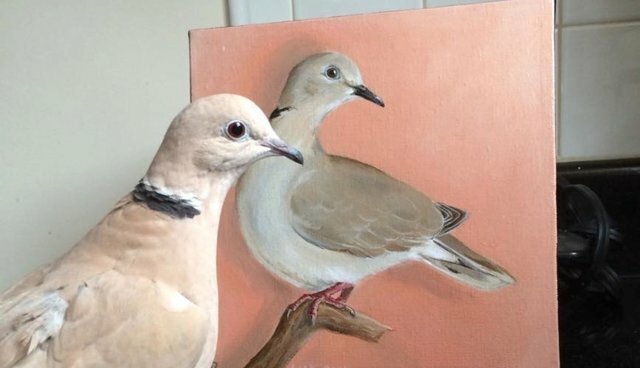 Lily may be a dove, but she's an art lover, too. Here she is looking especially pleased to see herself as the subject of a portrait painted just for her. The beige and white beauty is one of more than 500 feathered darlings rescued by Palomacy Pigeon & Dove Adoptions, a California-based group dedicated to finding new homes for domesticated birds and those unfit for release. Lily was just a helpless orphan when she arrived at foster care in 2011, but she quickly made an impression on Palomacy founder Elizabeth Young, who opted to raise the tiny chick herself. "I was bound and determined NOT to keep this adorable baby that I was fostering," Young told The Dodo. "But she loved me so sweetly that I couldn't give her up though she had no shortage of want-to-be adopters." Since then, Lily has grown into a loving and loyal adult, one worthy of being immortalized - so Young commissioned a little artwork just for her, donated by artist Ashley Dietrich to support the rescue group. "She definitely reacted to seeing her painting, as she does to photos and videos, too," Young said. "I think she was pleased to see herself so lovingly rendered." 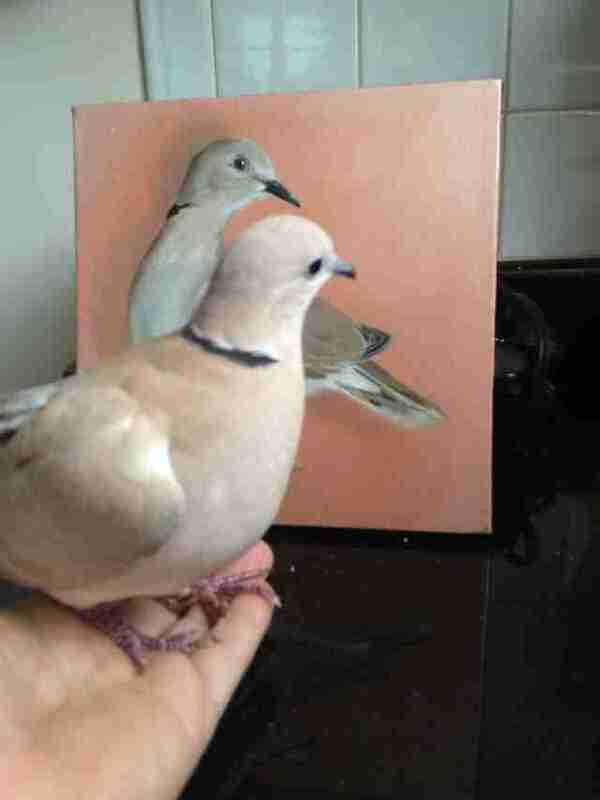 "Domestic doves (and pigeons) make amazing pets. They are smart, emotional and full of charm. 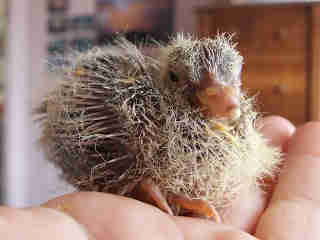 Wild birds should be left free but domestic birds can't be free - they need homes!" says Young. "Just as there are homeless dogs and cats, there are homeless domestic and unreleasable birds in urgent need of adoption!" To learn more about adopting a pigeon or dove, visit Palomacy Pigeon & Dove Adoptions.